The word is out that Kodak has entered the 3D printing market. With its announcement of a new dual-extruder, fully enclosed printer and wide line of premium filaments, the company seeks to bring solutions for creative professionals. Kodak’s new Portrait 3D Printer is now available for pre-order at a significant discount, and will begin shipping in March 2018 after being introduced in January at CES. The Kodak 3D Printing Ecosystem was created with education, design and engineering professionals in mind. The Portrait 3D Printer itself features a large build volume of 200 x 200 x 250 mm (8″ x 8″ x 10″), yet it’s compact enough to fit easily onto a desktop. It’s a dual-extruder printer that addresses many of the problems common to dual extrusion: an end-of-filament sensor notifies the user if either filament runs out, and a special feature allows the user to load both extruders with the same material and have one continue printing when the other runs out. It’s a good way to use up a partially-used spool of filament without worrying that the material will run out. There’s also a nozzle-wiping mechanism that prevents color contamination. 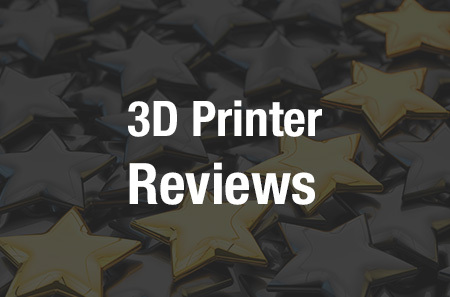 The Kodak Portrait 3D Printer was designed to be reliable and accurate, as well as easy to use. Kodak made judicious use of magnets when designing the 3D printer. The print bed attaches magnetically and is easy to remove, and the hot ends attach with magnets as well for quick exchange without the need for tools. The Portrait also features an automatic, contactless print bed leveling system that uses a capacitive sensor to ensure that the printed object is completely perpendicular to the surface. The 3D printer was designed to be safe, too. It’s fully enclosed, with a HEPA/activated carbon filter that makes it suitable for classroom, office or lab settings. An extractor fan carefully regulates the temperature of the build chamber, ensuring warp-free parts. In addition, the Portrait 3D Printer is rigidly built from precision laser cut steel sheets and features transparent paneling that allows great visibility inside the printer. Five-color LED lights illuminate the printer while printing, as well as providing information about the printer’s status. Kodak is also offering its own line of 3D printing materials, which include ABS, HIPS, Flex, and Nylon 6 and 12, as well as several variations of PLA. According to Kodak, the filaments feature the highest roundness and diameter accuracy in the market, as well as the lowest moisture content. 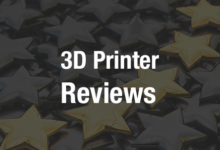 That’s notable especially in regards to materials like PVA and nylon, which are especially quick to absorb moisture from the air – and a filament with high moisture content tends to produce a poor print. To further protect its materials from moisture, Kodak provides airtight cartridges, equipped with desiccants, that connect directly to the extruders – the filament is removed from its airtight packaging and transferred immediately to the cartridges, where it is protected from moisture and dust. The final piece that makes up the Kodak 3D Printing Ecosystem is the software. 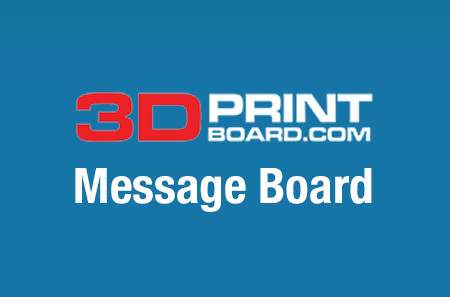 The printer’s movement is carried out by a dedicated controller board, while the user interface and connectivity are handled by a separate controller with a five-inch color touch screen. The software offers advanced multi-user features; for example, users can log in and immediately access their email, social media or file-sharing services. Capabilities include the ability to monitor the printing process, rate the print’s quality, track print time per user and assign cost based on usage. The Kodak Portrait 3D Printer will be officially launched in January 2018 at CES, with an MSRP of $2799. However, the printer is available for pre-sale now at a discounted cost of $1819 – that’s a 35% discount. The special rate will only last until the first 500 units sell out. Shipping is free in the United States, Canada and Europe. Any customer who buys a printer now will also receive 30% discount on all filaments purchased in 2018. 3D printers pre-ordered now will ship in March 2018. If you’d like to learn more or pre-order a Kodak Portrait 3D Printer, you can do so here.